Kris talks with Laura Patrick, founder of Kids Physio Group. 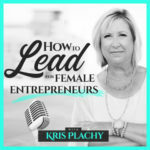 They discuss what it’s like being a solopreneur with one location and evolving into a leader managing five clinics and 35 employees. Laura Patrick (nee Turner) was born and raised in North Vancouver, BC Canada. She is the founder and owner of Kids Physio Group – Canada’s largest chain of private pediatric physical therapy clinics. 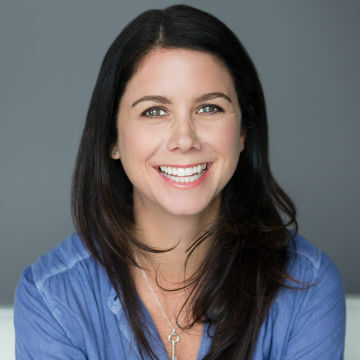 With a passion for sports, she first graduated from UBC’s Human Kinetics (Exercise Science) program in 2001 before continuing on to receive her Masters in Physiotherapy from McMaster University in 2003. Laura founded Kids Physio Group in 2006 in the humblest of surroundings. After 3 years working in the public system with school-aged kids, she recognized a need for all children to have access to trained pediatric physiotherapists in clinic space designed just for them. In the past few years, Laura has stepped back from clinical work. Although she still loves taking on the occasional baby motor milestone assessment and the opportunity it gives her to connect with parents, most of her efforts are dedicated to running Kids Physio Group and seeking out new partnerships and markets for them to expand into! On the personal front, Laura loves outdoor adventures with her family in Deep Cove, keeping up her fitness, exploring new cities abroad and cooking and eating delicious food! What it’s like going from technician/doer to manager/leader. Get a mentor; someone you can trust. Many of Laura’s team are working in the Manager Formula. Hire good people and then let go. The resources Laura thinks everyone should know. The unique challenges Laura believes that female entrepreneurs face. The qualities Laura looks for in someone she hires.